Spend 3 Glorious nights at the Luxury Sabi Sands Selati Camp situated in the famous Sabi Sands Reserve – Kruger National Park and and receive complimentary return Federal Air flights to and from Johannesburg or Nelspruit Airport. Imagine the Africa of the great safari era, when blazing sunsets melted into lantern lit romance and service was an effortless whisper. This is the Africa you will experience at Sabi Sands Selati Camp, an award winning luxury game lodge in South Africa. Sabi Sands intimate all-suite Selati Camp is the most unforgettable of all African experiences. 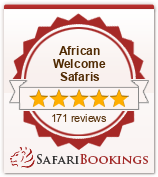 It offers the perfect accommodation for travellers looking for a romantic luxury safari lodge in South Africa. Selati is furnished with a historic railway theme and colonial charm and is meticulously created as an authentic home in the bush. The railway theme extends from the original steam engine name plates, signals and shunter’s lamps lighting the way to your suite, to interesting memorabilia and other collector’s pieces in each room. Originally created without electricity to preserve the ambience, Selati Camp has now installed overhead fans, air-conditioning and all the trimmings expected from a luxury safari lodge. Nights at Selati are quiet, intimate and possessed of a rare magic. Under the spectacular canopy of the Southern night sky the camp is still romantically lit by the gentle flicker of oil lamps and lanterns, and the warm glow of fires Fashioned in a colonial “Out of Africa” style, this exclusive lodge comprises eight opulent thatched suites, each with full bathroom en-suite and private alfresco shower nestled under majestic indigenous trees. World-class cuisine is served on wooden thatched decks built alongside the Msuthlu riverbed, in the open air “boma” or in the “farmhouse kitchen”. The premier accommodation at Selati Camp is the sumptuous and spacious Ivory Presidential Suite, which is a favourite amongst Kings, Queens, and those just looking for exceptional accommodation. It offers colonial grandeur in the form of original antiques, a draped four-poster bed, private terrace, and fireplace. The magnificent en-suite bathroom, complete with Persian carpet and antique chaise-lounge, also features a very private plunge pool. The Lourenco Marques Suite is a must for honeymooners or the romantic at heart. Whether it is the fragrant flower petals strewn on the exquisite bedlinen, or the candles illuminating the bathroom on return from the evening safari, a stay in this romantic suite will always be remembered. Sabi Sands Selati Camp combines turn of the century elegance with personalised safari luxury – a rare experience. Sabi Sands Little Bush Lodge – receive complimentary return Federal Air flights to and from Johannesburg or Nelspruit Airport.